If you live in a cold part of the country, you are no stranger to harsh winters. Even in the Fall or early Spring it can be cold when you have an early tee-off. Your regular glove might offer a little bit of warmth to your one hand, but by no means enough. And what about the other hand? Freezing, stiff and downright painful hands do not make for a good round of golf. Unlike the rest of your body you need to maintain a sense of feel and touch in your hands to ensure you can handle your clubs. There are, luckily, a variety of winter golf gloves on the market that will allow just that; even on the green. Let’s take a look at some of the best winter golf gloves. Mizuno is a brand known for its excellent quality and their winter golf gloves fit the bill. The Mizuno ThermaGripTM are sold in pairs, have full grain leather palms and the uppers are wind resistant and made from waterproof flexible fabric. The knitted WinterCuffTM keeps them snug and provides extra warmth for your wrists. The materials keep your hands nice and warm yet you are still able to get a good feel for the club. The sizes are a bit small, so perhaps order a ½ size bigger than usual. For an average price of just around $20, these Mizunos are some of the best cold weather golf gloves available. 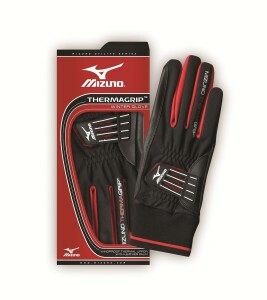 Buy the Mizuno Thermagrip Winter Golf Gloves here! These winter gloves from Footjoy features there special “Thinsulate” insulation and premium Cabretta leather palms, making them one of the best winter golf gloves out there. The cuff is a stretch knit with a Velcro fit strap to keep your wrists warm as well. The durability and grip provided by the Cabretta leather is excellent,while the insulation is not too bulky so you can maintain feel of the club. The materials will hold up well to washing without losing its shape and fit. These gloves are so nice, you will find yourself wearing these off the course as well! 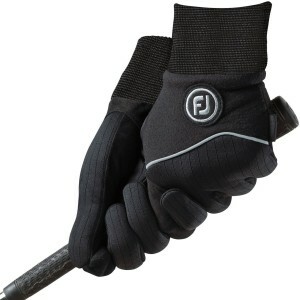 Buy Footjoy Wintersof Golf Gloves here! HJ is a lesser known golf company whose only priority is to make the finest golf gloves in the world. The HJ Xtreme Winter Performance Gold Gloves is the company’s top cold weather offering; it provides maximum warmth while also being wind and moisture resistant. The gloves feature an extra-long cuff for additional warmth around the wrist. They also have a tri-layer back design and textured palms to enhance the grip on the club. You don’t lose much feel and the added grip means you don’t have to squeeze the club extra tightly. These will stand up to the coldest conditions Mother Nature can throw at you on the course. If you want the best winter golf gloves, then the HJ Xtreme Gloves are an excellent choice! 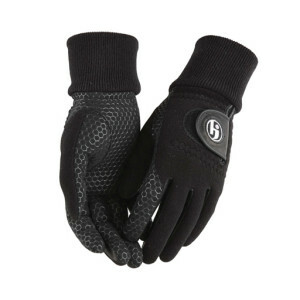 Buy the HJ Xtreme Winter Performance Golf Gloves here! These Nike all-weather gloves are manufactured with synthetic microfiber in the palms to provide excellent grip in wet conditions. A body-led silicone over-mold on the knuckles offers a greater fit, suppleness and range of motion. The micro-flex inserts in the thumb and index finger further extends the range of motion and provides breathability. Grip in wet environments is further improved by the angled tab with nub traction. These Nike gloves only provide a little bit of additional warmth, but are not quite as insulated as the HJ Xtreme Winter. If you live in the an area like the Pacific-Northwest, then these are the best winter golf gloves for wet conditions. 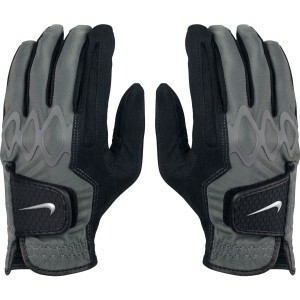 Buy the Nike All Weather II Golf Gloves here! The most expensive item on our list is from little known brand Zero Restriction. Their Windstopper Winter Gloves are an extremely high quality product — the shell is made of 100% Pittards leather, with elastic inserts between the fingers and knuckles. This allows the gloves to be very light, thin and flexible, while maintaining durability and warmth. They are thin enough to allow fingertip handling of most objects; no need to take your gloves off to get something out of your bag. The “Windstopper” interlining helps makes the gloves extra warm, without adding any bulk. The glove also includes a detachable ball marker for added convenience. If you are looking for gloves made with highest quality materials, and don’t mind spending $40, then these are the best winter golf gloves for you! 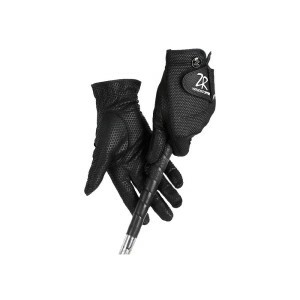 Buy the Zero Restriction Windstopper Winter Golf Gloves here! 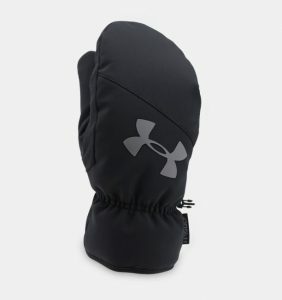 Under Armour golf cart gloves are oversized and super warm for those coldest mornings on the links. Made to fit over your golf gloves to get extra warm in between holes in the cart. They use ColdGear Infared Technoloy that Under Armour is known for. They are water and wind resistant to keep you even warmer. Because of their oversize, they only come in two sizes – S/M or L/XL. Check out the size chart here. Buy the UA Cart Gloves! 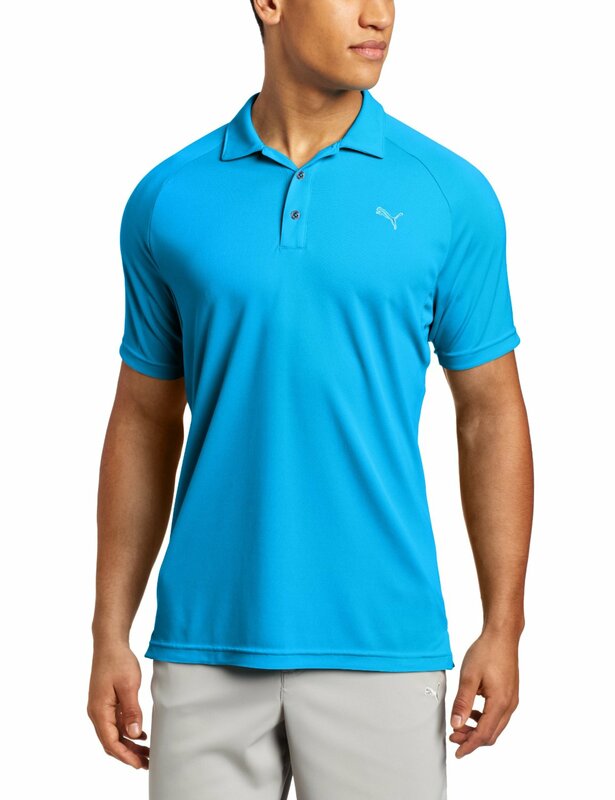 Best Golf Shirts for Men The Best Golf Rain Gear – Stay Dry! What are the Best Golf Pants? What are the Best Golf Shorts?